For selection of products, please refer to the Medisystems Products & Accessories List to locate specific models or part numbers of our products. - Complete branch accounting at CFA/depot locations, collection, outstanding, debtors management. - Monitoring All India sales, sales returns, expiry, breakage & spoilt goods. 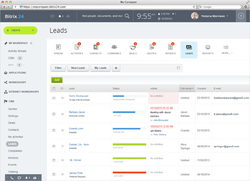 Sales CRM Software that we offer manages all activities related to sales cycle right from leads till order closure. It is a much needed tool for your sales team which help them focus on their core activity to achieve sales target. Sell Faster with Modern User Interface Sales module helps to manage and classify sales orders on a structural and hierarchical system. 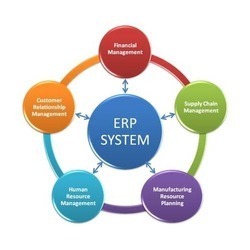 It has the ability to create new orders and review existing orders in their various states. With this software your staff can make entry about Visit plans and status of different visit. Here you can view sales persons monthly visit plan, Customer wise visit report, Sales person wise visit report. Robotic Email and SMS Sender Software. It is a Cloud based software which search the data and send your Company and Product information to them. It works 24 hours wihtout any manual work. Team management is one of the speciality of RootDesk. You can create the entire organisation structure in RootDesk. Every employee manages the subordinates under him in the hierarchy. Approvals are sent to the managers above you. RootDesk provides a drag-drop UI for creating the team structure. Anyone can create their own teams in RootDesk and start managing them. Move from being one in a CROWD to one in the SPOTLIGHT! SmartSales has been developed for businesses that sell a range of products and frequently add new products to their inventory. SmartSales is ideal for EXPORTERS, IMPORTERS, DISTRIBUTORS, WHOLESALERS and MANUFACTURERS. SmartSales saves money and time by using the internet to display and distribute product information. Sales reports Product cost vs. sales price Search query reports Total sales by payment kind Total shipping charges Best seller reports Sales by customer report. Where ever you are, Neurolinx’s Mobile Sales Management provides your sales and customer service staff all the tools they need to be able to answer customer queries, raise sales orders and provide quotations immediately. Styx Infogateway’s sales & Inventory management system can be used to store the details of the inventory, update the inventory based on the sale details, produce receipts for sales, generate sales and inventory reports periodically etc. • Sales schemes respectively for each industry can be defined.